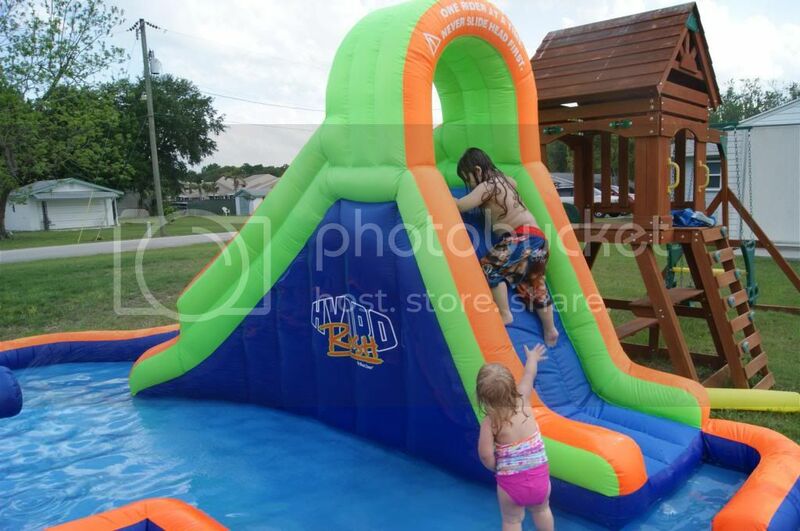 Andrea's World Reviews: Blast Zone Hydro Rush Inflatable Water Park Review & GIVEAWAY!! I did a lot of looking around, and I found something that delivered on everything I wanted. The Hydro Rush Inflatable Water Park from Blast Zone is PERFECT! I love that the blower is included as well as the stakes, and even a patch kit. The pool area is nice and large so there is plenty of room for multiple kids. 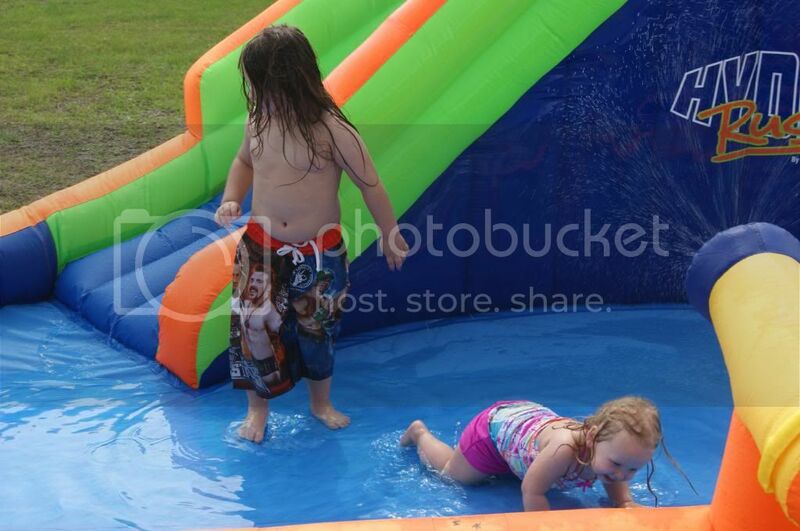 I love how much fun the kiddos are having!! My 2 yr old would love this! 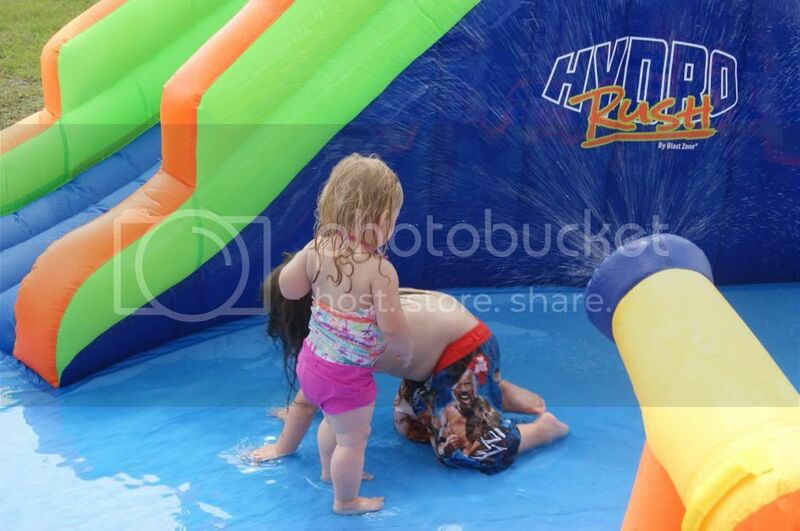 I love how much fun your kids are having! 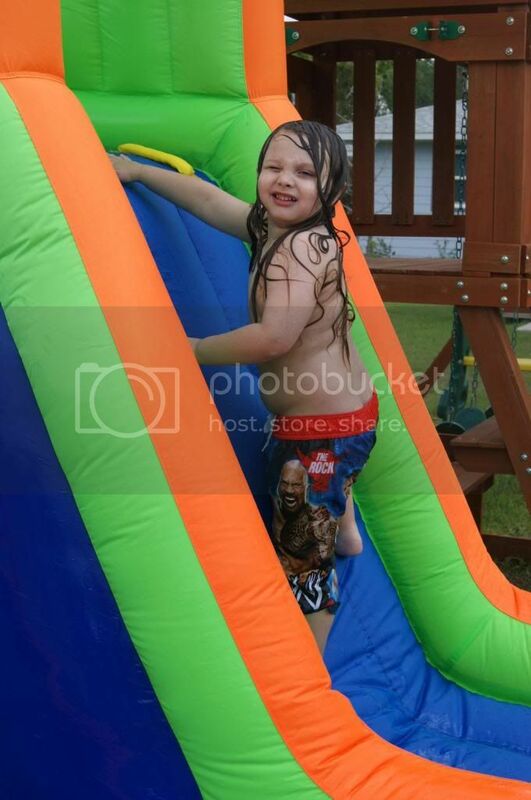 I love that it's like a little water park in your own backyard. My son would love this! 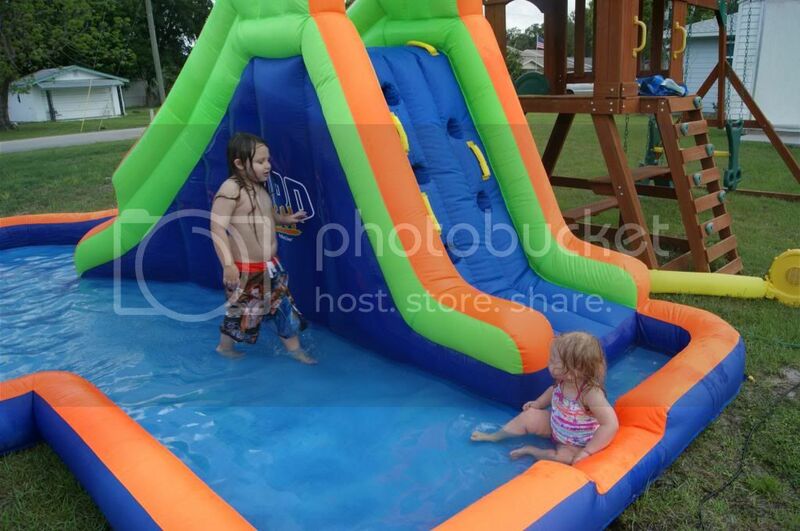 I love the whole idea of this product, it's a mini water park in your back yard. Fun for hours for little ones! What wouldn't someone love about it! I think I love the fact that my kids would have blast with this for hours at a time...no no days at a time. 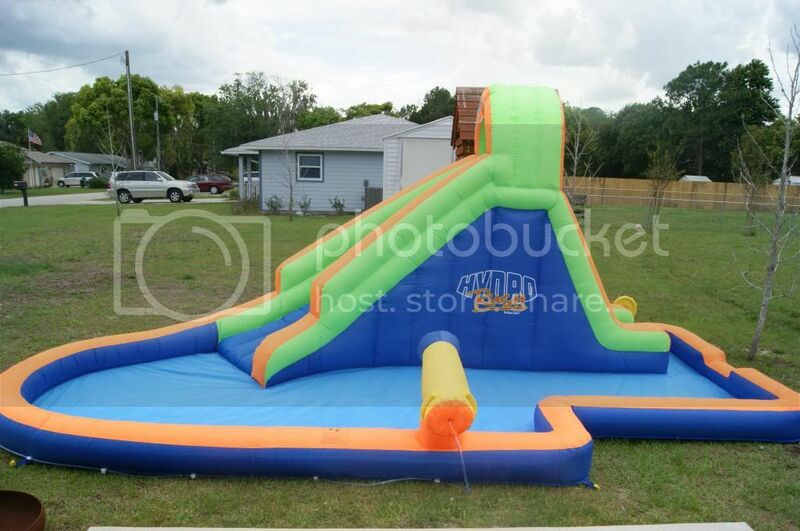 That it would be perfect for all three of my little boys to play on!!! Oh my word, that looks fantastic, they look like they're having so much fun ! Oh my gosh what isn't to love about it? It looks like a blast! 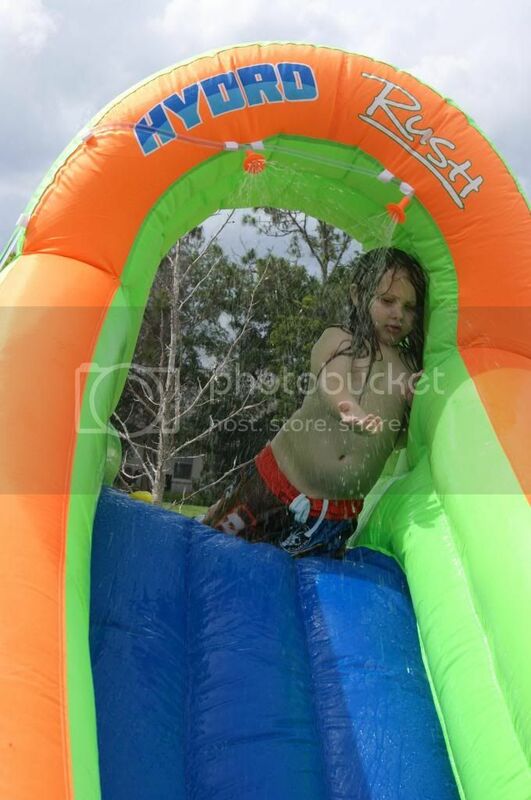 Best kiddie pool ever! My kids would love it. That looks like so much fun, I would love to play on it with my kids. Thank you for the giveaway. 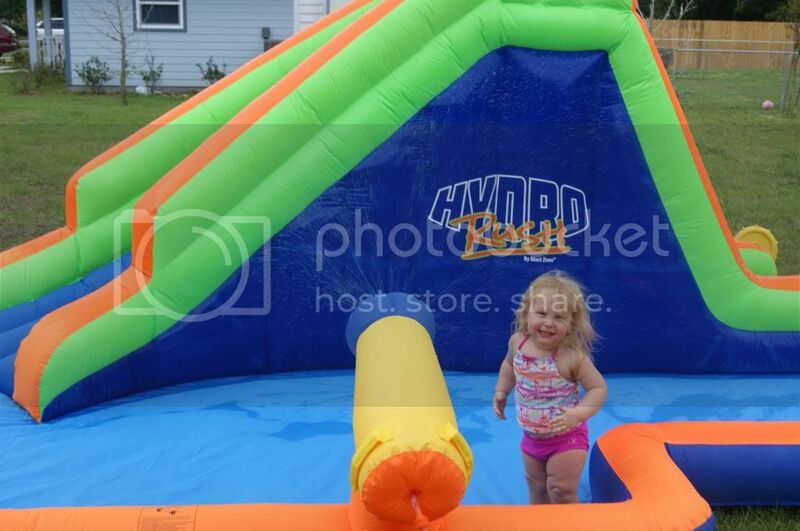 Wghat a deluxe inflatable, that would be so much fun this summer time. 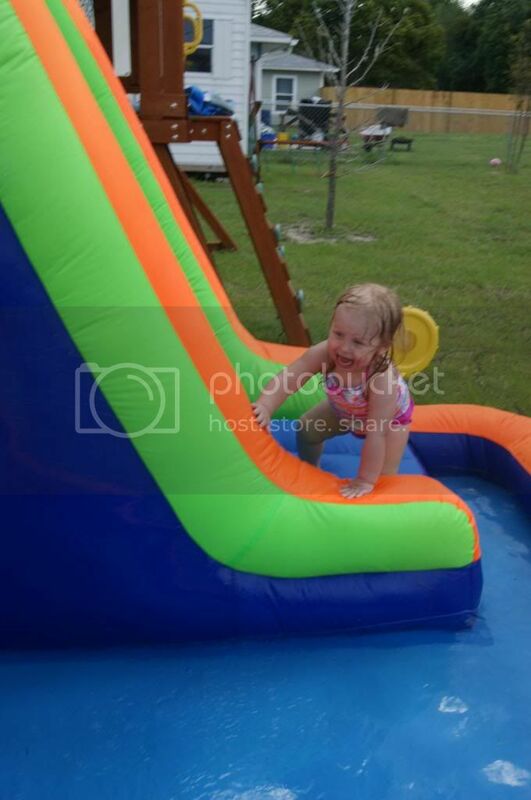 Lovely, What i like is it's inflatable and big that kids will love to have so much fun this summer..
My granddaughter would love this and I think it would be a great introduction to the water. She hasn't had a lot of interaction with other little ones, nor the water because they live in a large city. 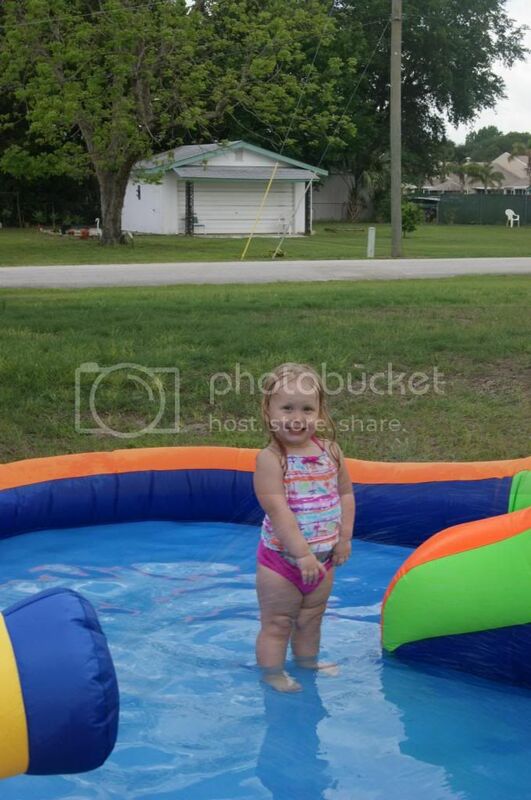 They are moving home next week so she will have the opportunity to see and play with her cousins and this would be great! 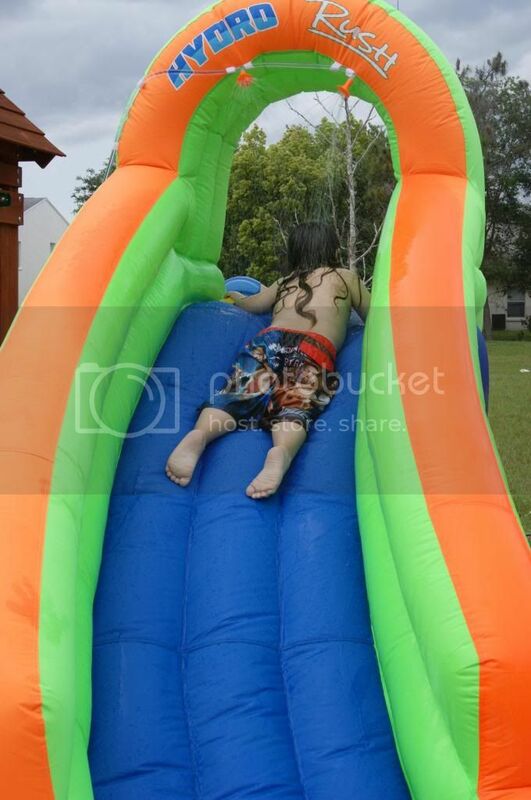 My favorite feature is the slide and the wide open pool, children are able to roam, and the more timid ones are able to find an area to get used to the water. I love that it holds water. Lol I live in S Texas so I know about the heat and humidity. The water cannon always a must have with boys. I can totally see the whole family my husband and I included, having a blast. 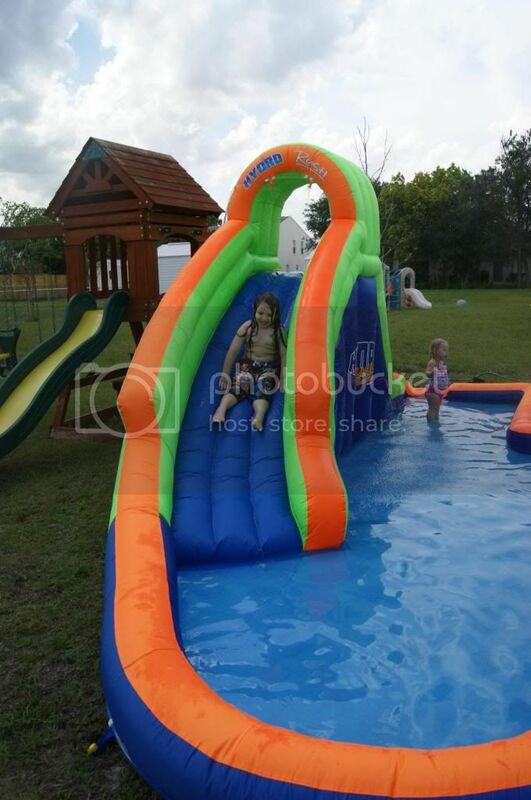 It looks like it really would keep my kids entertained and i love the slide and water sprayer. I love the cannon! My son would love that! I love mostly that it can allow multiple kids to play at one time. Also love that the lower back edge of the park helps to regulate the water level. Excellent safety feature. 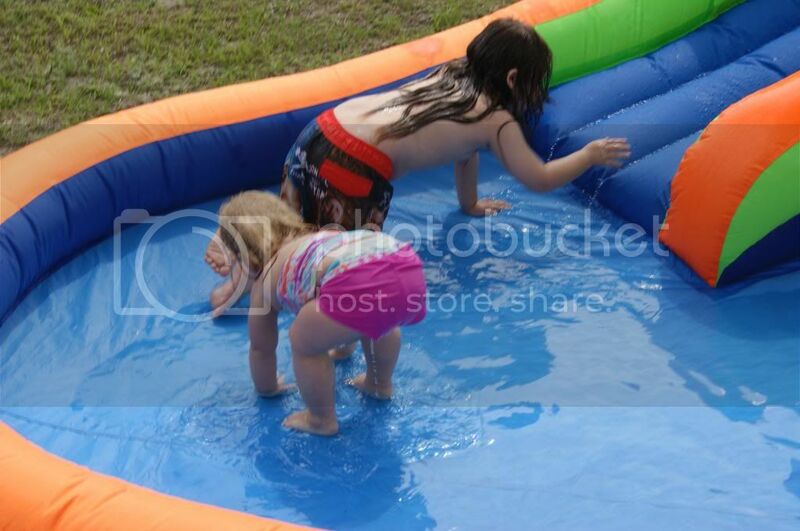 My kids and The neighbor kids will have something fun to do this summer without getting bored....Imagine that!! This slide is perfect for US!!! 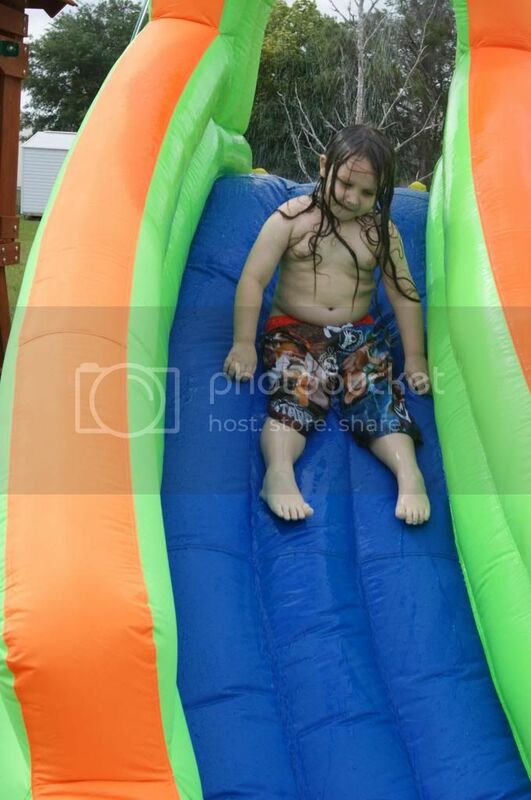 !Who nows maybe mom would give it a shot down the slide!!! Thanks for the chance to win!!!! If I win anyone is free to play in it I'm not greedy like that!!! That I can play with it too!!! It looks amazing! It looks super fun for the whole family!! Oh I love that It is so fast and easy to inflate(and deflate)! Looks like so much fun! I know we would have so much fun with it! 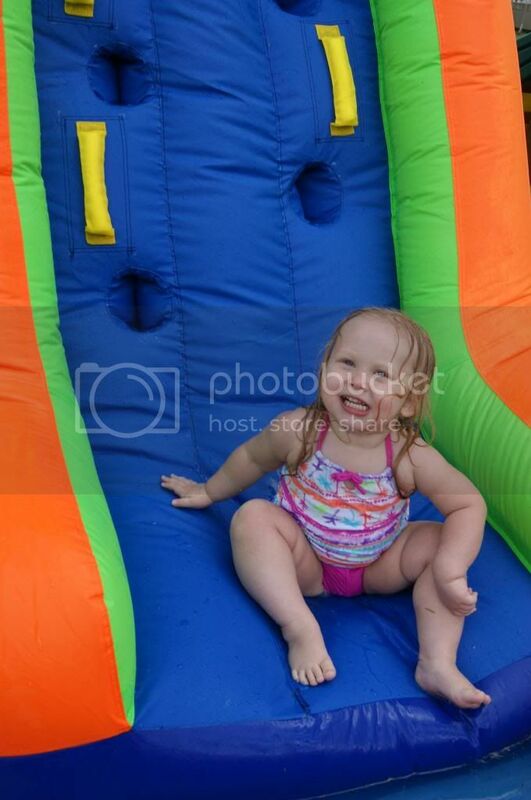 I love the slide!My daughters would love this since we dont have any pools nearby! I like the slide. 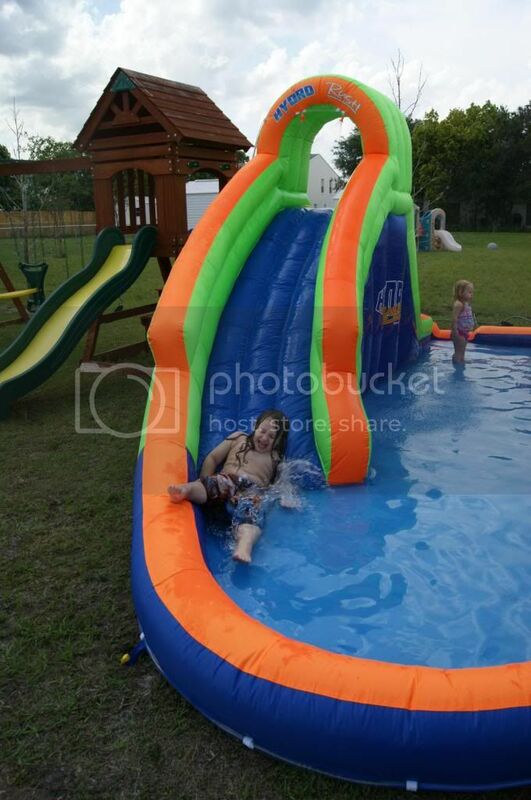 You can buy a pool, but slides are so expensive! This would be a perfect combination! 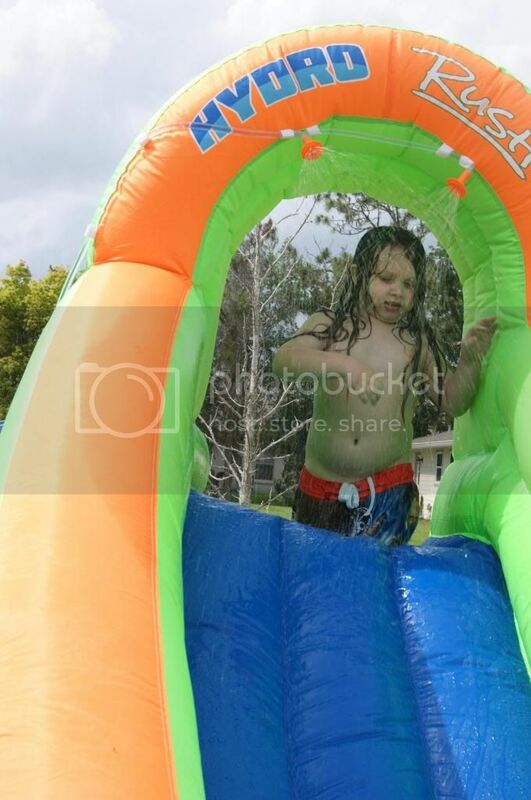 That it's like your own little water park fun in your yard. My son would love this! I really like that there is a section in the back that allows the water to escape before the pool area gets too full. I love that it is great for all ages! I have a 3, 6 and 8 year old who all can play on it at once! I'd love to have that. It would keeps the kids busy all summer long!